After about seven years since the first challenges to the Aadhaar project, on Wednesday, a Constitution bench began hearing the arguments to decide the legal validity of the project. In 2015, while defending the Aadhaar project, the Attorney General had argued that citizens have no fundamental right to privacy in India. In November 2017, after a two-year-long wait, the 9-judge Constitution Bench delivered a historic judgement affirming the fundamental right to privacy enshrined in India’s Constitution. Two months on, a five-judge Constitution Bench, comprising the CJI Dipak Misra and Justice DY Chandrachud, Justice AK Sikri, Justice AM Khanwilkar, and Justice Ashok Bhushan, began hearings today to decide on the constitutional validity of the Aadhaar scheme. At the start of the hearing, the Attorney General asked that fied time be allotted to each of the lawyers arguing on both sides. Senior advocate Shyam Divan said the entire project needs to be examined, and its notifications examined. The Chief Justice of India also agreed that time for arguments cannot be limited in this fashion in this matter. Divan began proceedings for the petitioners by recounting the history of the project. His opening statement can be found here. No democratic society has adopted a programme that is similar in its command and sweep. The government seeks to tether every resident of India to an electronic leash. At its core, Aadhaar alters the relationship between the citizen and the State and diminishes the status of the citizen. The State is empowered with a ‘switch’ by which it can cause the civil death of an individual. 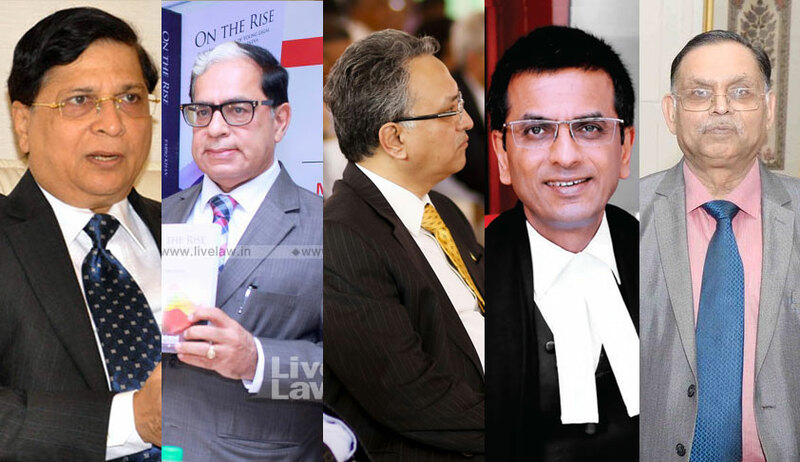 When Mr. Divan described the illegality of biometric data collection prior to the promulgation of the Aadhaar Act in 2016, Justice Sikri interjected to ask whether Mr. Divan was saying the data collected from 2009-2016 would have to be destroyed. Chief Justice Mishra too questioned whether data collected in infringement of a fundamental right should be destroyed. Mr. Divan stated that it would. It is also crucial to remember that in 2015, when petitioners had pointed to long delays in the case hearings even as government was rushing and coercing enrolment, Justice Chelameswar had explicitly stated that the court could not allow the government to present a fait accompli. Another important interjection was made on the question of the passage of the Aadhaar Act as a Money Bill, bypassing one house of parliament where the government lacked a majority. On the CJI quoting his earlier judgment on not discussing the Money Bill issue, Senior Advocates P. Chidambaram and Arvind Datar pointed out the contradiction to two previous Constitution Bench judgments. The current bench will thus also have to decide on the validity of the Aadhaar Act’s passage as a Money Bill. Further, Mr. Divan pointed out that the 2016 Act was identical to the 2010 National Identity NIDAI Bill which had been rejected by a Parliamentary Standing Committee on Finance in 2011. Mr. Divan submitted that the 2016 Bill had not been examined by any such committee, making its being passed as a Money Bill questionable. Even as the Supreme Court began hearing arguments today, the spate of news stories bringing to light technological issues with Aadhaar continue, with the latest being Go News’s follow up on the Kanpur Fake Aadhaar racket, revealing that the UIDAI is clueless about how many fake Aadhaar enrolments were generated and how to tell apart fake authentications from genuine ones. Given that the hackers were able to bypass biometric authentication – both fingerprint and iris scans were compromised – this is another telling commentary on the vulnerability of the Aadhaar ecosystem, begging the question if UIDAI is indeed competent enough to maintain such a vast program whose mishandling puts the life of every single Indian at risk for all time. Meanwhile, another petition has been admitted wherein 50 private companies have pleaded that Aadhaar should not be struck down as it would cause losses to their businesses. Considering that Aadhaar was claims to make delivery of welfare benefits more efficacious (the title of the 2016 Aadhaar Act itself reflects this), and was passed as a Money Bill on same basis bypassing the Rajya Sabha, it is a shocking attempt now to frame the project as a for-profit enterprise. The hearings are likely to continue for another 4 to 6 weeks. Shyam Divan will continue arguments for petitioners tomorrow. The outcome of this hearing will impact similar coercive biometric UID programs across the world.